Good luck and wear your safety harness!! From all the post in various threads this is is shaping up to be an awesome youth weekend. 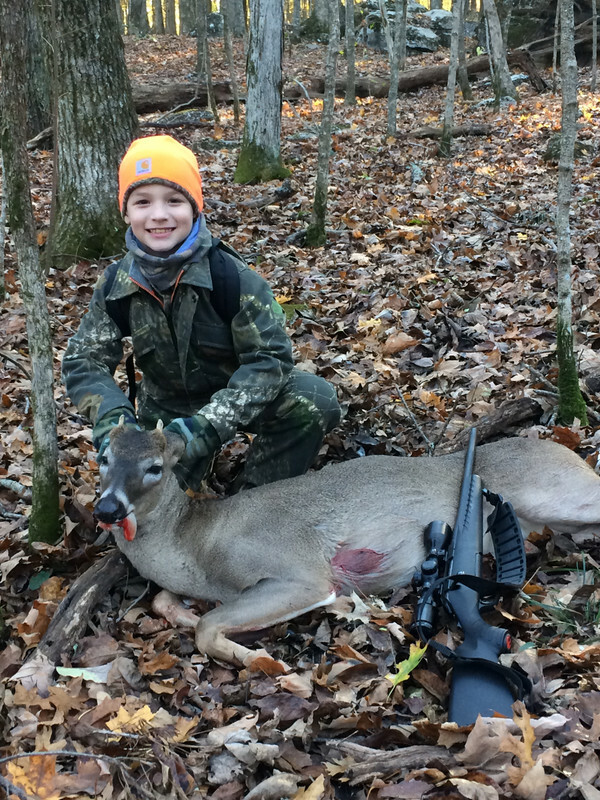 My man Bradon got it done!! 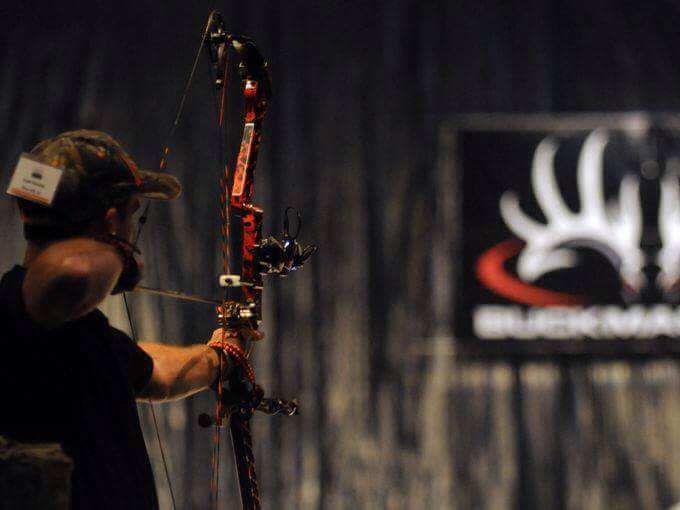 Buck or doe: Doe 90lbs. My wife's cousin got her first this afternoon. 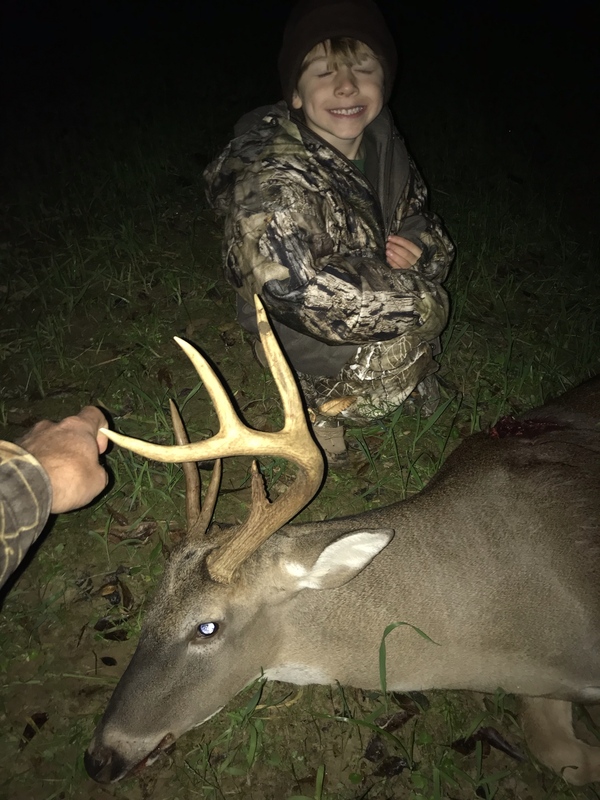 We thought it was a seven but upon walking up to it we found the bonus kickers off of both brow tines to make it a legit 9 point. 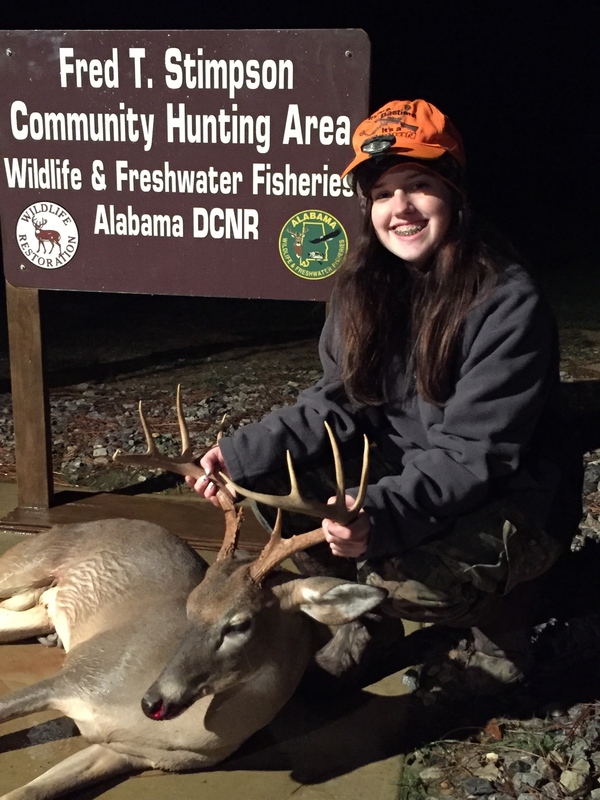 This young lady shoots long distances competitively but never deer hunted. 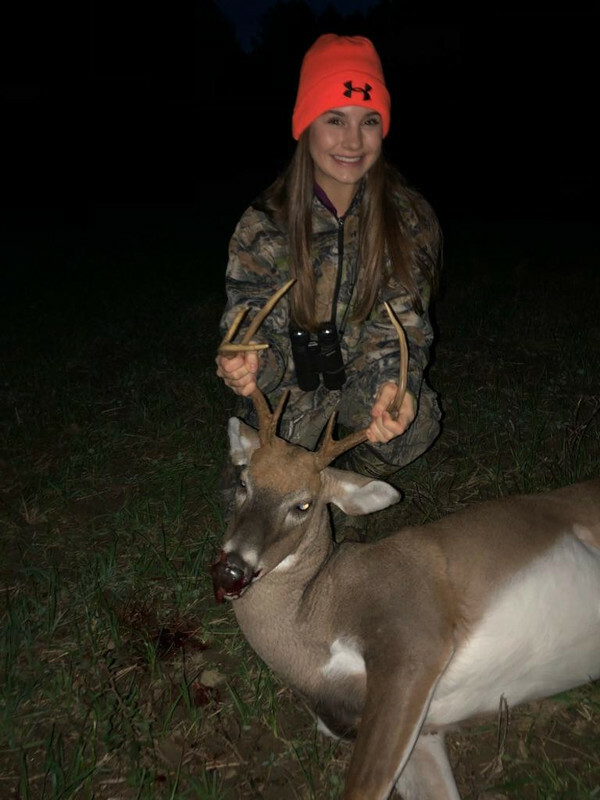 Proud to have taken her for her first deer. A chip shot for her at 160 yards. 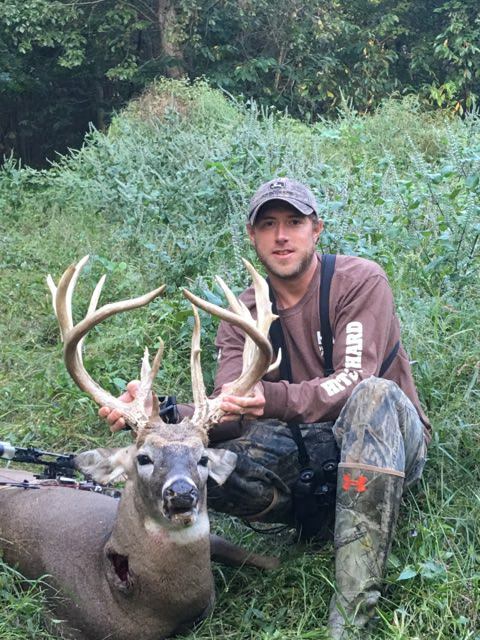 He ran about 25 yards. Just far enough out of sight but there was never any concern about her missing. She was cool as a cucumber until after the shot. Last edited by jawbone; 11/11/18 09:22 PM. 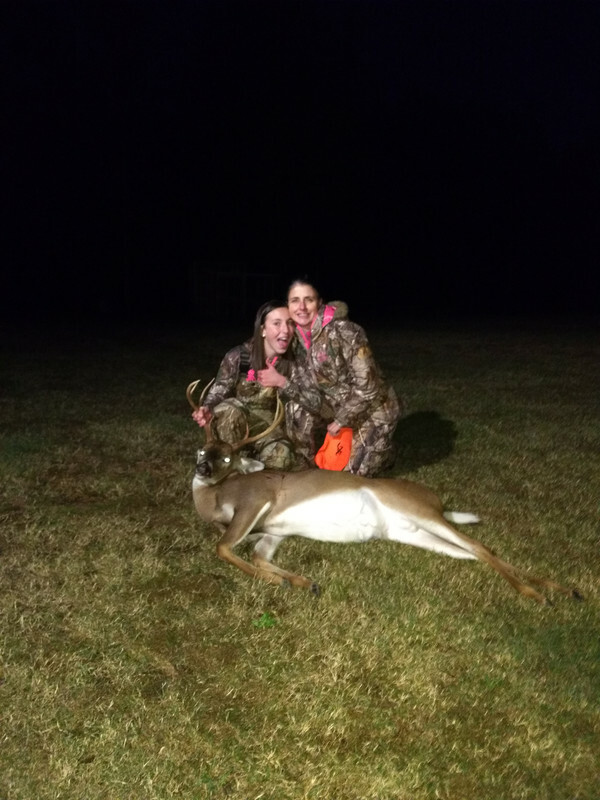 My Daughter hasnt hunted with me in 5 or 6 years. She is a gymnast and her workout and social calendar doesnt allow for much. I talked her into going out with the old man tonight and boy did we have a great time! 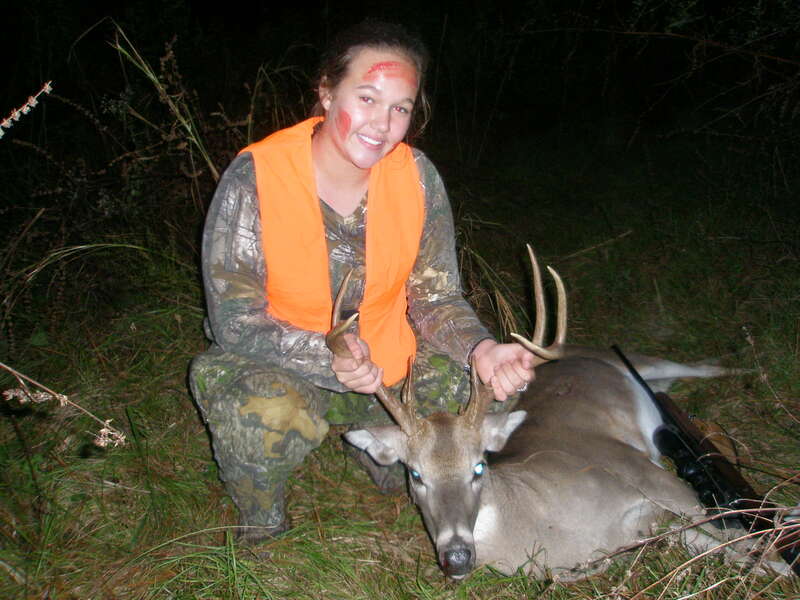 Topping it all off by her killing this broken rack 9 point. 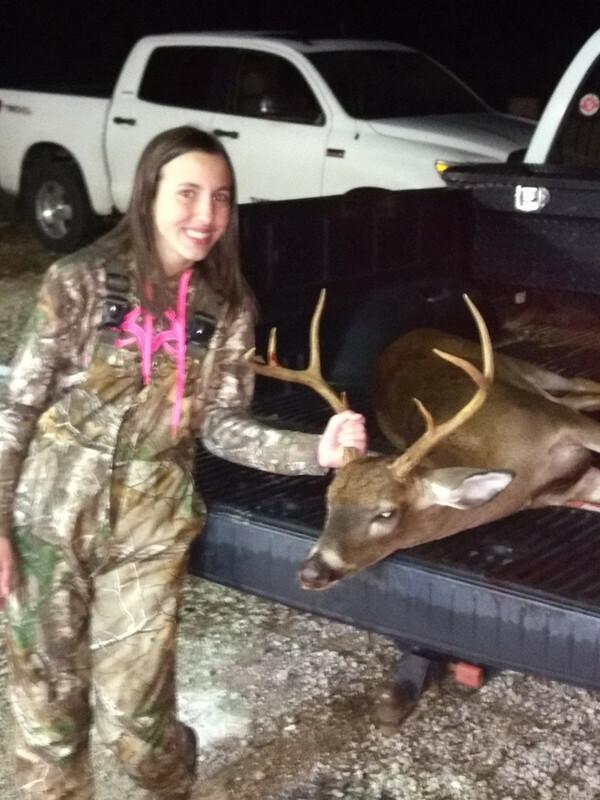 She shot him right at dark at @80 yards with her Ruger .308. I am so very proud of her. One shot DRT. Not sure how to post a picture but I sure want to. 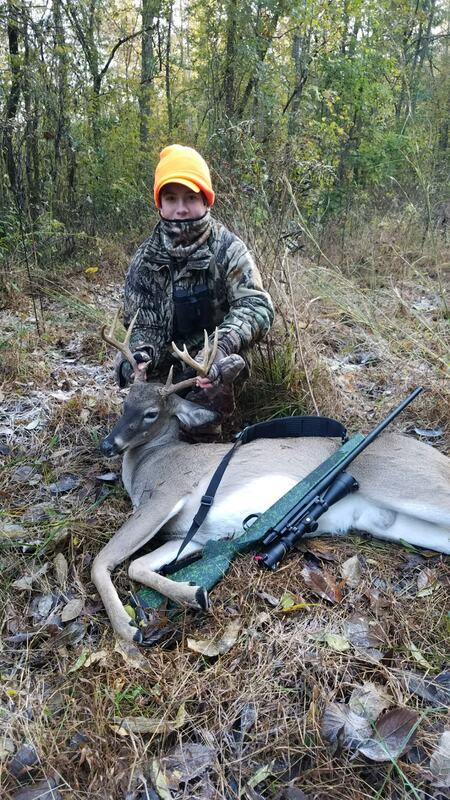 14 y/o grandson killed it and also got a doe Saturday evening. Last edited by blumsden; 11/12/18 07:46 AM. Posting for Big Bore. 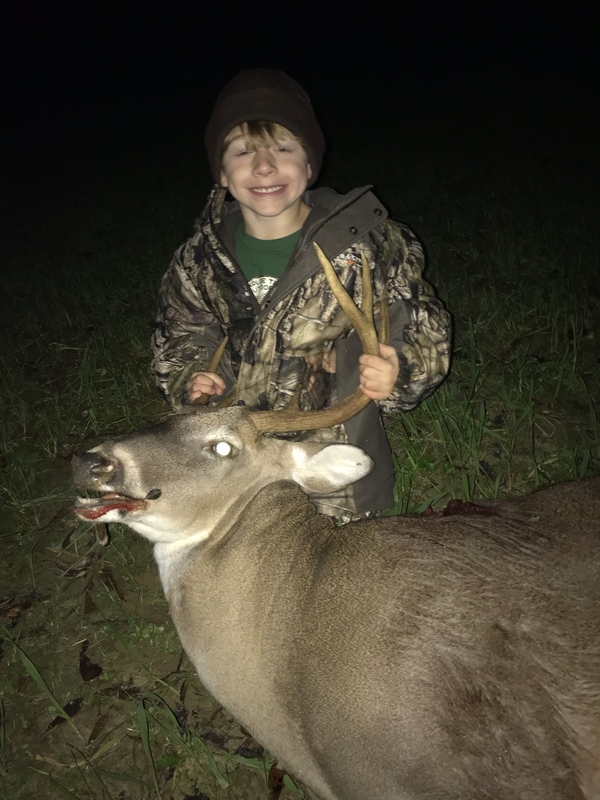 Congrats to all the youth on successful hunts. Looks like all the ladies showed up and showed off. Posting for blumsden…..Congrats to his grandson! dang , these little ladies are laying them out . i got a sister that can flat foot get them too .